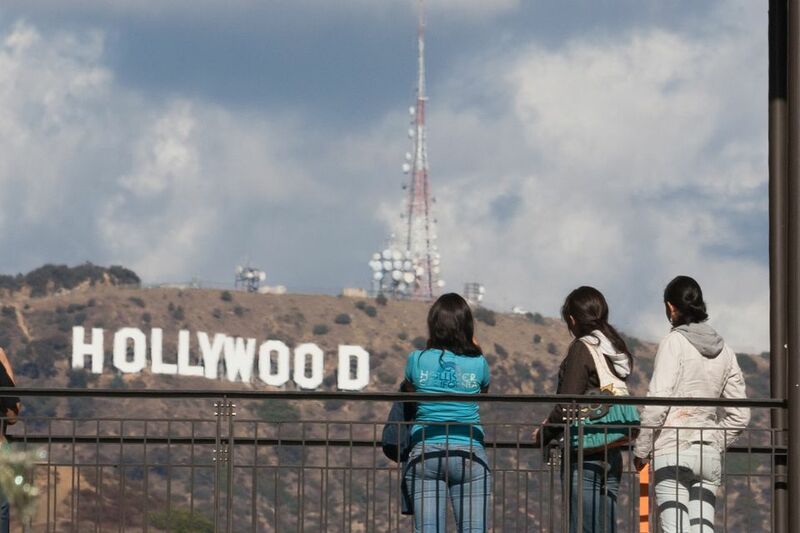 Hollywood has long been known as the entertainment capital of the world and Los Angeles (LA) has many museums and landmarks that pay homage to the city's history and current role in movies, television, and music. If you love pop culture and movie stars, there are great museums where you can learn the entertainment industry history and technology, and see props, costumes, instruments, and artifacts from movies, television, and musical entertainment. The Hollywood Museum in the heart of Hollywood has a great collection of movie costumes, props, set decorations, and memorabilia. The collection includes an extensive Marilyn Monroe exhibit, tributes to Elizabeth Taylor, Michael Jackson, and many others, and Hannibal Lechter's cell from Silence of the Lambs. The Museum is in the old Max Factor Building. The first floor displays the makeup rooms just as Max Factor had them decorated to complement the different complexions and hair colors of specific actresses. The Hollywood Heritage Museum is in the original Stern Family Barn, which became the first silent movie production studio in Hollywood for Cecille B. DeMille and Jesse L. Lasky. The collection includes archival photographs from silent movie production, props, historic documents, and other movie-related memorabilia as well as a photo history of old Hollywood. Located across from the Hollywood Bowl, the Hollywood Heritage Museum is open Saturday and Sunday from noon until 4 p.m. The ​GRAMMY Museum at LA Live presents the history of recorded music and the technologies used to record it, as well as special exhibits on individual recording artists and groups. You can also explore the GRAMMY Walk of Fame that circles through and around the entire block, commemorating those who have won GRAMMY Awards from the Recording Academy in the top four award categories. The Museum strives to inspire its visitors to learn about musical genres and history through interactive touch-screens, videos, and recording booths. The museum has special events and showings of classic western movies and shows. The gallery featuring western movies includes almost every iconic cowboy including William S. Hart, Bill Pickett, Tom Mix, Gene Autry, Roy Rogers, Duncan Renaldo, James Arness, John Wayne, and Clint Eastwood. Cowgirls such as Patsy Montana, Betty Hutton, and Katharine Hepburn are also represented, as well as artifacts and posters from Thelma and Louise and the iconic shirts from Brokeback Mountain. The Paley Center for Media (formerly the Museum of Television and Radio) in Beverly Hills has a collection representing over 150,000 television and radio shows. The museum includes props, set pieces, memorabilia, film cells, and other artwork from TV shows. The annual PaleyFest has screenings of TV shows and appearances by TV stars. The PaleyFest Fall TV Previews is a big annual celebration of the new TV season in LA and NY. TV enthusiasts and fans can gather to preview some of the hottest new shows on the big screen. Madame Tussauds wax museum presents wax figures of famous actors and other well-known figures from the early movie and TV days to the present. There's not a lot of history to read, but you can get up close and personal with Charlie Chaplin, Marlene Dietrich, and a century of famous actors. The museum has a reconstructed studio back lot where you can tour and see what goes on behind-the-scenes and meet your favorite stars hard at work (in wax, of course). Like Madame Tussauds, the Hollywood Wax Museum displays wax figures of famous Hollywood actors. The Hollywood Wax Museum is smaller and much older, and most of their figures were created without molds and before computer-assisted models, so they don't look as much like the actors. The figures are set in tableaus that recreate a scene from a movie or TV show, so visitors can't get as close for photo opportunities as you can at Tussauds. The Museum at the Hollywood Bowl showcases the history of the Bowl, the LA Philharmonic, and other music-related exhibits. The Museum opened in 1984 in what was originally the Tea Room. It was completely rebuilt as the Edmund D. Edelman Hollywood Bowl Museum in 1996 to provide a historical context for the iconic Hollywood Bowl. The Hollywood Bowl Museum is the first building visitors see upon entering the grounds from​ Highland Avenue. The Hollywood Bowl is a place that played a major role in music and entertainment and has helped shape the careers of some of the most famous performers of the 20th and 21st centuries. The Fashion Institute of Design and Merchandising (FIDM) Gallery in Downtown LA has an annual Oscar Costume Exhibit, featuring the costumes from all the films nominated for Academy Awards in the best costume category. The exhibit runs every February and March around the Oscars. The rest of the time, the gallery has rotating exhibits on fashion, costumes, and accessories. Most of the movie and TV studios have museums, prop houses and archive exhibits that are only accessible on their studio tour, or for Universal Studios, included with theme park entrance. At the Warner Brothers Studio, you can tour the Property Department which is home to more than 450,000 registered artifacts. The collection consists of countless treasures used in nearly a century's worth of entertainment. The department has grown to over 200,000 square feet and four floors of set dressing. When you tour, you'll see history unfold right before your eyes during your journey through this huge prop department. The Academy of Motion Pictures, the organization that presents the Academy Awards, has a museum currently under construction and set to open in 2019. The Academy Museum will be the nation's first, large-scale museum entirely dedicated to the art, science, craft, business, and history of film. The Museum will be housed in the historic May Company building, a historic art deco building. The museum will house a theater and event space.